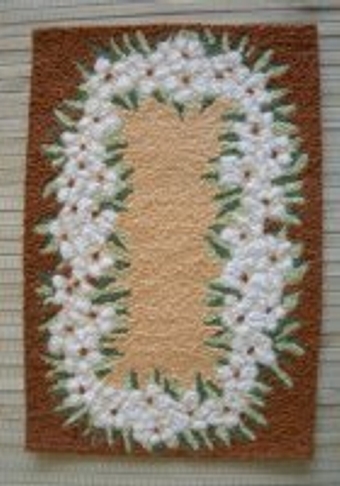 Finished Size is: 4-3/4" x 7"
Beautiful tropical Plumeria Blossoms form a circle on this rug. Dark Rust Background on the outside and pale Rust/Peach in the center with Off-White fringe. 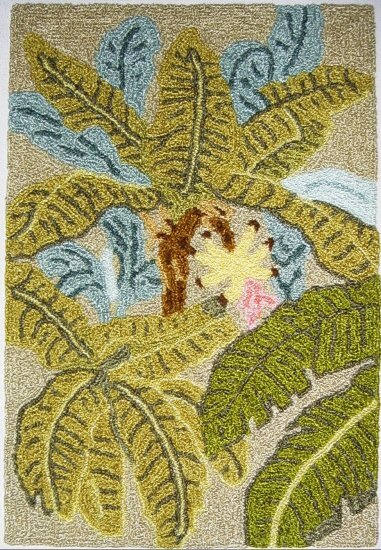 A beautiful tropical rug for any miniature setting. There are detailed step by step instructions plus diagrams and colored pictures showing what it should look like as the project progresses. Contact information is provided if technical support is needed to complete the project. I have been designing and making Bunka Rug Kits and teaching for almost eight (8) years. This project is for all skill levels.